5 Favorite Ways to Un-frumpify a maternity wardbrobe | House Unseen. Life Unscripted. The other day a sweet mama named Katie left this question in the combox of one my my posts: "I know this is really off topic, but can you talk about maternity clothes? Like, what to thrift and what do you splurge on? How do you look so cute and not frumpy, like I always feel?!" Well, first of all, I think all pregnant women tend to feel like frumpy beached whales (can beached whales also be frumpy? Work with me.) and they perceive that all the other pregnant women they know have it totally together in the style department. So I feel funny answering this because if you talk to anyone who knows me in person, they will assure you that I can barely go for four minutes without talking about how ginormous I am and how unflattering every article of clothing I own is. But I will press on because who doesn't like a ready-made blog post topic? 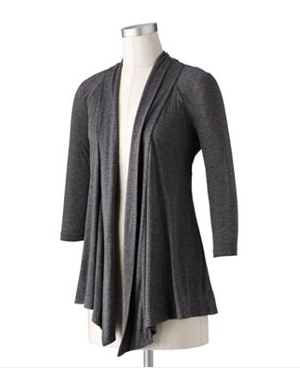 Shop for "flyaway cardigan", sometimes called "open front cardigans" like this one from Kohl's. Or just a long cardi with a half-sleeve. Whatever you name them, you'll see them featured a lot in dweej-land. They sell maternity ones, but the ones I own are the ones I've always owned and even though I'm already 36 pounds up from the day I got pregnant, and 46 lbs up from my ideal weight (46 lbs people! ), I can still wear them. Layering always makes you look more put together and a long cardigan will smooth over the topographical map created by your bra strap and your stretchy panel and all the other junk that attaches itself to your torso as soon as your brain gets the baby memo. These are also super handy after baby is born for nursing coverage. You don't necessarily need maternity versions of these either as for me they tend to be too wide in the armpit area, but a size or two larger than your regular size + a super long length seems to be the key. Again with the layering, again with the smoothing of the ridges, and most importantly the cami can stick out the bottom of the shirts that are getting too small instead of your actual skin. Winning. p.s. I tend to dislike shelf bras in my camis as they are never the exact right size, but I LOVE adjustable straps. If you can find the holy grail of super long, no shelf bra and adjustable straps, buy one in every color. Maybe try these from amazon, which come in either a 2 pack or a 4 pack and are VERY long. A knit fabric is like a sweater or a t-shirt. A woven fabric is like a cotton button-down. The problem with woven when you're pregnant is that the fabric just hangs straight down from the tip of your belly and makes you look like you have a wigwam adhered to your rib cage. See? This one is tres expensive and probably really high quality and the model is skinny as all get out, but they can't show her from the side because wigwam. As opposed to this, which I'm not necessarily recommending but just showing for comparison purposes. See what I mean about the shirt really tucking itself all the way down and around the belly for optimum non-tent-ness? A nice of whatever you wear most. For me it's jeans. I live in jeans. I love jeans. I know lots of you skirt lovers out there think I'm a lunatic, but what else is new? But I still won't pay full price for jeans because I have a disease. ThredUp sells maternity clothes, as do Gap and Ebay and Old Navy and I promise you can find something used or on sale at one of these places that you will love at a really low price. And don't forget to use Ebates for cashback when you shop! These are the full-panel always skinny jeans from Gap, which I got for a fraction of the price from Ebay. Allow yourself the possibility of nice things at cheapo prices and I think you'll find it, whether it's jeans or maxi skirts or wrap dresses or whatever you love. Your earrings will not get too small. Neither will your necklaces. Maybe bracelets. Maybe your watch. Probably your rings. But earrings and necklaces are your freeeeeeeeeeeeeeeeeeeeeeeeendz. If you are not "dressed to go out," let's do an experiment. Check yourself out in the mirror. Now put on some earrings and throw on a cardi. VOILA! Totally put together, amiright? bonus favorite: undereye concealer. Nuff said. 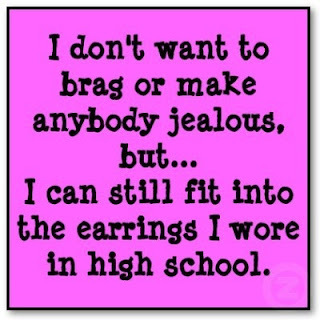 #5 made me laugh even though I haven't worn earrings since the day I got married. I think you must have been stalking my closet to check out my maternity wardrobe. Several weeks ago when the old rubber band trick no longer worked on my non-maternity jeans I had to go out and buy maternity jeans. Believe it or not, you can find clearanced maternity jeans at Target that are cute for $15 if you you find your size. Layering clothes with cardigans also means you can make short sleeved tees work for the colder months and not have to buy more clothes for the wamer months. Amen to #2, for life, not just for maternity wear. If anyone stumbles upon that holy grail, tell me! Costco sells a great two pack of these. 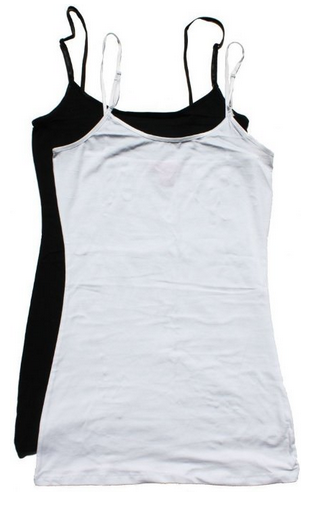 They are adjustable, soft, stretchy, long, and no shelf bra. $10-15 at most, can't recall. Anyone else notice that empire waist things don't seem to make the top part big enough? Even size L/XL sizes the top part for a B or a C cup, even though most people wearing a shirt that big are likely to have bigger cups. Drives me crazy. I am not currently pregnant but I loooove the long tank idea! Duh! I should have thought of it, because I love my nursing tanks. But I am tall, and I have huge babies, so by the last trimester every shirt is too darn short. This post is awesome! Hilarious and so true. Thanks for putting together a great list! Hope the pregnancy is going well! Also, the rule of three. Three separate colors (a pattern counts as one color) make you look more put together... and, in my opinion, the holy grail of looking thinner and more put together during, well, any time really.... scarves!!!! Flow-y in the summer and big and bulky in the winter, add color instantly and always make your face look thinner, plus, when your tummy is sticking way out there scarves help add a little balance to the upper half of your torso. Cardigans are my fav always, whether pregnant or not! I don't understand the point of maternity cardigans, though. The regular ones work just fine! Great post, Dwija! Love the long tanks. Love the open cardigans. I wish I could just live in those and sweatpants. Alos, Dwija, your blog's gotten very slow to load on my computer, even though I can watch HD videos on other sites. It looks like the many ads/boxes/widgets or whatever they are on the right hand side are slowing it down considerably. And, do you want more cloth diapers? I have a bunch of fitteds and some covers that I am happy to mail to you. Love this post! 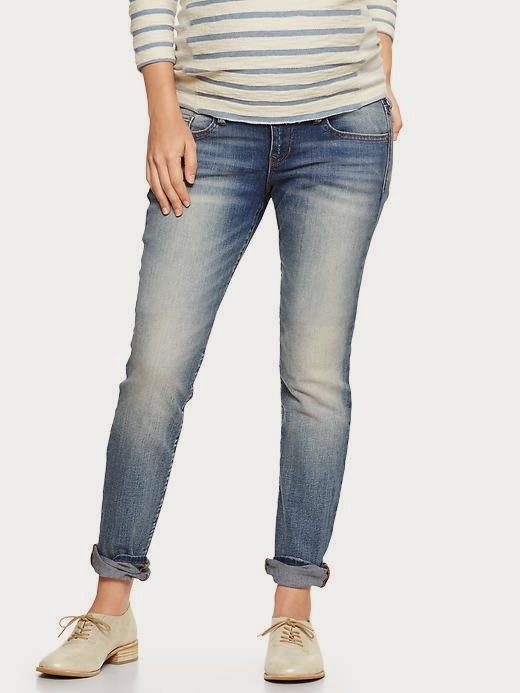 I bought those exact jeans from Gap about a month ago for 40%off (btw- they're having their F&F sale now so you can snag them for a good price if you can't find them cheaper elsewhere) and they're AMAZING. Love them. You totally described what I have always observed about woven tops on pregnant ladies but I have never been able to articulate! Yes yes yes to #2 and I love me some Gap maternity jeans but I have to have the Demi panel. Don't know how you full panel mamas do it!!! This post is awesome. Wish that I would have read it earlier because I already purchased too many tops of the woven variety when I was smaller, and realize now that my long and tighter jersey tops are a million times more flattering (why oh why do they make button down maternity tops like that anyways? I wore one to work two weeks ago and one of the nurses told me afterward that she wasn't positive if I was pregnant or not - and that was at almost 30 weeks, not good). Open cardis have been my favorite since I've been pregnant (fortunately I liked them before I was pregnant too, so I already had some) and 100% agree on the no shelf bra long camis - so hard to find. I have found only one so far, at Old Navy maternity, but sadly it's not online anymore. You are so truly super awesome you make me want to have more babies. Seriously. Also, my kids are amazing. But mostly it's you. Confession: I wear maternity type clothes all the time even thought I'm not (technically) pregnant all the time…although with three kids in three years it feels that way. But I think the maternity styles listed above are really more about universal fashion that looks good whether you're preg, post preg, pre preg, or whatever.